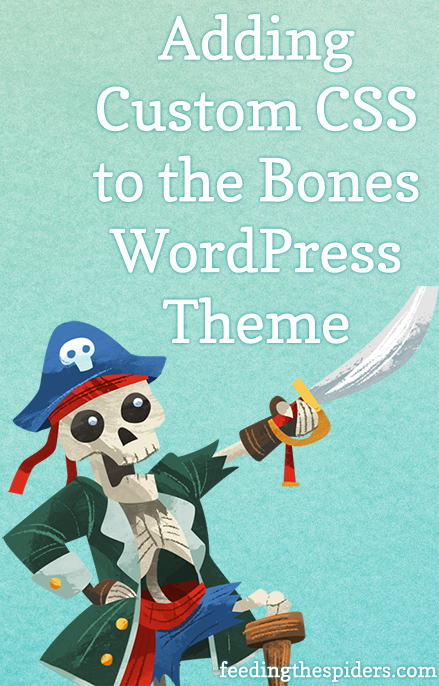 I love Themble’s Bones theme as a WordPress theme starter. I’ve used several over the years. TidyTheme’s blankslate is my second favorite but this post is about Bones! Bones is meant to be used without Child themes which, honestly I’ve never had much luck with. That was one of the first things I liked about it. I downloaded Bones, initially, because I wanted to learn SASS. I didn’t think I would stick with it so I just made alllll kinds of changes to /library/css/styles.css. This is completely safe to do and is exactly what the theme developers intended. However, I wish I had made some of my customizations portable and not all wound up in styles.css. I may want to reuse these particular styles on another project or change themes but easily retain my shortcode styles, for instance. WP Dev Beginners: Don’t be tempted to just throw a tag into header.php and call it a day. Enqueue and dequeue your styles and scripts! Create custom.css on your web server however you perfer. That’s it. 1000 represents the order you want the script/stylesheet to appear. would cause library/css/styles.css to appear after library/css/custom.css. Depending on how you use this stylesheet, it might cause you problems. We set custom to 1000 to ensure the custom file appears after. All done.